Using our 1-click RSVP feature? If you are using a tool like Mailchimp, Contant Contact, or Active Campign you can create a special link to your site that include the contacts details. 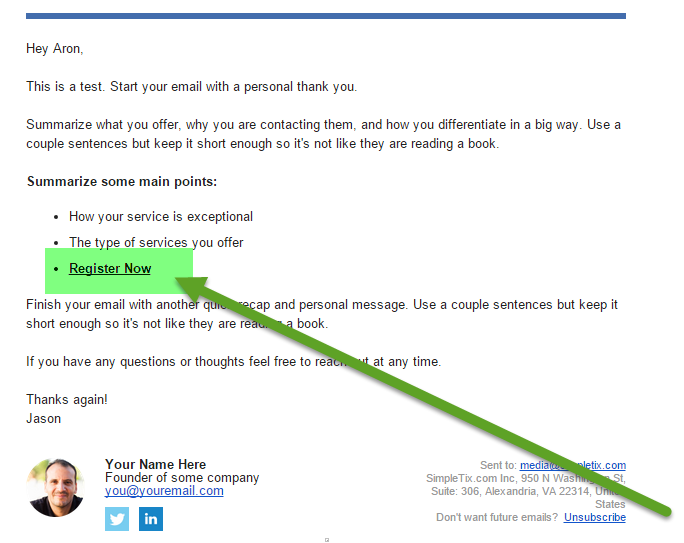 Step 2: When composting your email, create a register now link. 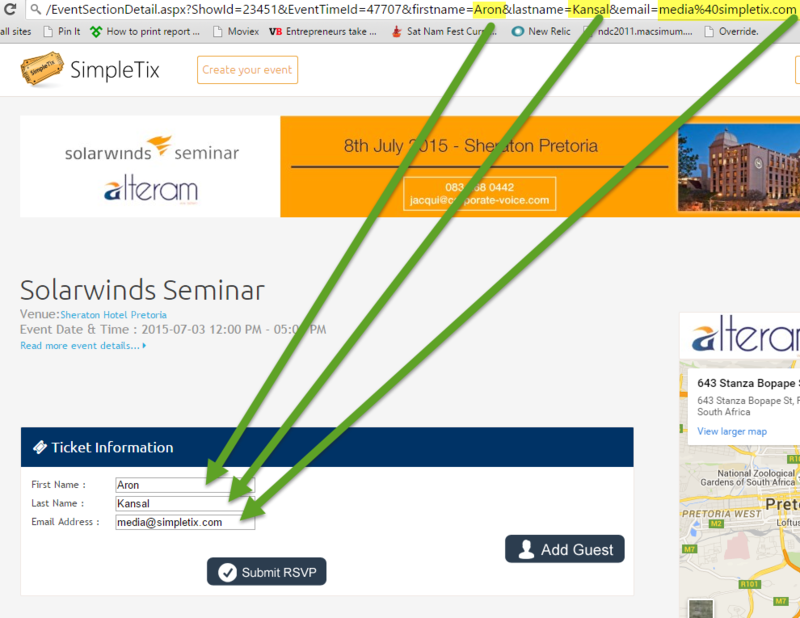 Step 4: Here's an example of how the email may appear, click on the register now link to test it. See the RSVP form is now pre-filled with their first & last name, and email address. Now all the have to do is link the Submit RSVP button. Nothing else. 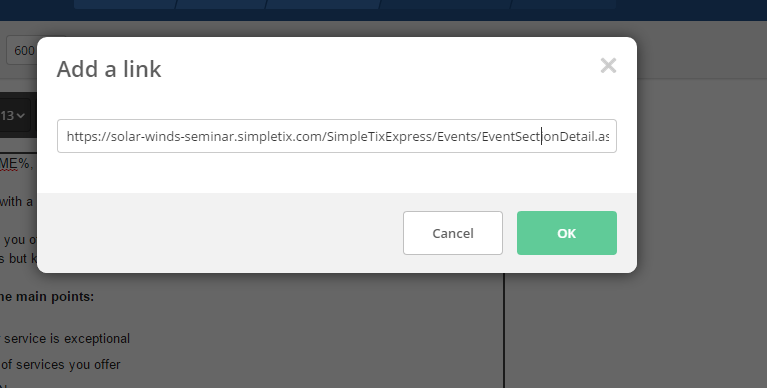 This is the most efficient way to handle event registration for a free event.